AZO Anwendungszentrum GmbH Oberpfaffenhofen is an international networking and branding company for the European space programmes, supporting entrepreneurship with more than 500 companies founded in Europe. AZO with its ESA Business Incubation Centre (BIC) incubation programme, has supported more than 130 company foundations solely in Bavaria to date. Over the last 15 years, AZO has established the leading European space cluster innovation network for the satellite downstream market, while providing the necessary marketing and promotion platform, incubation and expert network, as well as regional funding programmes with the objective to increase the uptake of business cases. AZO organises it’s “Innovation Masters Series”, the most important space-related innovation competitions: European Satellite Navigation Competition, Copernicus Masters, INNOspace Masters, Space Exploration Masters in close cooperation with the European Commission (EC), Federal Ministry of Economics and Technology Germany (BMVI), European Space Agency (ESA), German Aerospace Center (DLR), as well as a number of major industrial partners. In all competitions, AZO awards product innovations with well-known partners and established associated accelerator programs in almost all competitions. 2017 Airbus launched the “SpaceDataHighway” Challenge. The aim of the competition is to identify and promote innovations for the satellite communication system "SpaceData Highway". For the second-placed project, Airbus Defence & Space is funding a Crowdinvesting campaign on SpaceStarters. The Space Exploration Masters fosters Innovation through new ideas for LEO, Moon, Mars and Beyond. In 2017, the European Space Agency initiated the Space Exploration Masters as main pillar to implement the goals of the ESA Space Exploration Strategy. Space exploration contains large potential for the creation of innovative applications, products and services, providing concrete opportunities to deliver benefits for society. As a global endeavour, Space Exploration fosters multilateral international cooperation. Investments in new topics and application areas may contribute to economic growth and new business opportunities, while countless unique values will be generated for science and knowledge. At the same time, Space Exploration addresses fundamental questions about the origin, uniqueness and destiny of humankind and thus may inspire and have wide cultural implications. Submissions are welcome at www.space-exploration-masters.com. Since 2011, the annual Copernicus Masters competition awards prizes to outstanding ideas, applications, and business concepts that utilise Earth observation data for commercial purposes and socially relevant projects. Participants can choose from various topic-specific challenges that are awarded by an array of prominent partners. Along with cash prizes, the winners receive technical support in realising their ideas, access to satellite data, and startup support from a prize pool worth a total of around EUR 600,000. A newly created European Commission programme, the Copernicus Accelerator, offers tailored business coaching support to the top 40 applicants of the Copernicus Masters. Geared primarily towards startups and other companies, researchers, and students, the competition is looking for entrants to submit their applications at www.copernicus-masters.com. With more than 600 members NewSpaceVision is the biggest and fastest growing European New Space Visionaries Community. NSV has the goal to strengthen the European Space Startup scene. It is addressed to space enthusiasts who are looking for inspiration, open discussion, network as well as resources for space projects. Since it was founded in Berlin in May 2016, monthly events give companies, VCs, projects and organizations an audience of open minded and visionary people from inside and outside the space industry. With space company lab visits, high profile presentations, pitches, workshops, networking sessions, conference (2018) and hackathons NSV creates a basis to raise awareness of all space related hardware and software applications. The growing media platform www.newspace.vision is complemented by blog posts, podcasts, job offers and more. NSV motivates aspiring entrepreneurs and skillful engineers to start their own space venture. Business Angels Netzwerk Deutschland e.V. 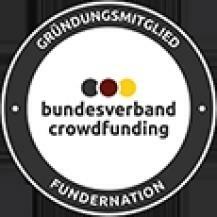 (BAND) is the federation of the Business Angel market in Germany and is engaged to strengthen the Business Angels Ecosystem. BAND organizes the exchange of experiences among the actors of the seed investment landscape and supports cooperation. 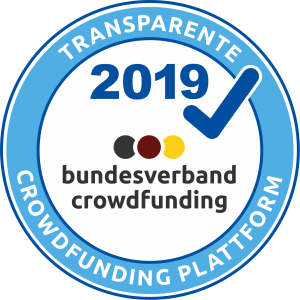 BAND serves as the voice of the German Business Angels and their networks towards politics and the public. BAND stands for the model of the "two-winged" Business Angel, who supports young innovative companies with both capital and know-how. For Start-ups, BAND serves as the central contact point of the German angel market. INI-Novation ist ein internationales Beratungsunternehmen mit Fokus auf Innovationsmanagement und Technologie-Vermarktung. Das Unternehmen bietet maßgeschneiderte Dienstleistungen für drei verschiedene Kundentypen: lokale Regierungen, Universitäten und F&E-Institute sowie private Unternehmen. Die Aktivitäten von INI-Novation werden auf internationaler Ebene durch ihre Tochtergesellschaften und Partner auf der ganzen Welt kontinuierlich ausgebaut. INI-Novation verfügt über ein breit gefächertes Netzwerk von Risikokapitalgebern, Technologie-, Markt-, Lizenz- und Unternehmerexperten. Diese Partner-Experten beteiligen sich aktiv an den Screening- und Nutzungsprozessen. So bietet INI-Novation seinen Kunden individuelle Beratung, um den individuellen Anforderungen gerecht zu werden. Triangle is one of the few European venture capital firms with an exclusive focus on investments in research spin-offs. Since its inception in 1997, Triangle has advised three fund generations: FirstGen, which started investing in 1999, Fund IV, with vintage year 2006, and the Open Sky Technologies Fund in collaboration with the European Space Agency (ESA), with vintage year 2010. The three fund generations have invested in 18 start-up companies with Triangle investing as lead investor in all portfolio companies and completing more than 100 transactions, including follow-on funding rounds and exits. Triangle is actively looking for new investment opportunities all over Europe, as we are a big believer in Europe being the innovation hot spot of the world.